OBFS runs a listserver for staff of stations where general announcements are posted, as well as fielding questions and discussions of best practices and other resources. 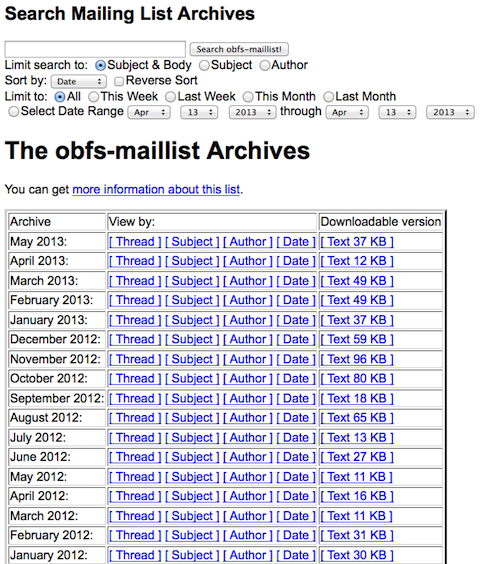 OBFS Listserver Archives are available! In order to access the archives, you will need to login to the listserver and visit the archives. If you've forgotten your listserver password (one is assigned to you when you sign up) you can retrieve your password via email. You'll receive an email back with your password. To post to the list, email [email protected]. If you have other questions about the listserver, please contact Philippe at [email protected].